When I discovered how bamboo grows, I thought it an apt image both for how heart issues develop AND how they heal. Knowing how heart issues are like bamboo may help you both understand the healing process and be more patient with it. Bamboo’s growth starts underground, where the rhizome system that supports the canes are developed. For three whole years, the plant establishes itself underground and there is no apparent growth. Absolutely nothing appears to be happening. For three years! In the fourth year, shoots appear. 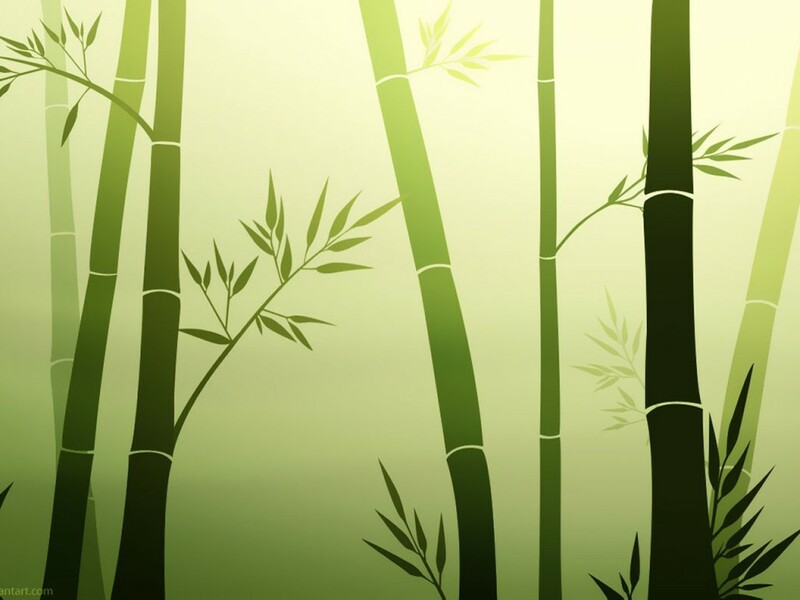 The bamboo canes grow in height and diameter for only 60 days every spring. After the 60 days, that particular cane will never grow again. However, because of the rhizome system, the next spring the shoots that come up will grow much taller and faster in those 60 days. After a bamboo grove has been establishing its rhizome system for 5 years, the canes that grow in that fifth year can reach as much as 90 feet (for certain species, in certain conditions)–all in 60 days! This picture also applies to how heart issues form, and then manifest eventually in our lives in some health, relationship, and/or success issue. If enough unhealthy beliefs based on negative memories and images gather (whether in the unconscious or subconscious mind, or energy patterns in the DNA or cells, nobody knows exactly yet), they will eventually manifest in some kind of problem. It may take years, even decades for the “shoot” of the negativity to manifest, but eventually it does. That manifestation can “take off” into a major illness. If the theories of Dr. Alex Loyd in The Healing Code and Dr. Bruce Lipton in The Biology of Belief are true, such illnesses began long before any symptoms or problems showed up. If symptoms or issues can take a long time to show up, though it may seem to happen “overnight,” so too healing may take a while to be experienced. You may not feel anything happening, but underground much healing may be taking place. The rhizome system of healing needs to be established before the “shoot” of the actual experience of healing becomes apparent. As you work through prayer and The Healing Codes if you’re doing them, much of the inner healing will be “underground” in the “rhizome system” of healed memories and corrected beliefs. You may have thousands or millions of hidden memories that are being healed, that need to be healed, before your physical or emotional manifestation changes. So take heart, persevere in your healing work, and have faith that underground, the rhizome system is changing from negative support to positive support. The manifestation that you can see and feel will come eventually. That’s why I portray bamboo in my header. Every time you see any of my sites, I want you to be reminded that healing, and success, manifest like bamboo. I want you to be reminded to persevere. To have faith. God desires you to be healed–but in the deepest way possible. That may take time. Let it be God’s time. Hidden growth. Faith. Process. Time. Remember these when you see bamboo. What a wonderful analogy! It has really shed more light on this healing process for me. I now know that the healing is a continuous process even if we don’t ‘feel’ it. The key is to keep doing the codes, because it really does work! Thank you Diane, for such an insightful article! Since doing the codes I have found myself always waiting for my healing moment where everything just explodes into forever happiness, but this article made me think of how just like the rizome system, where all the negative issues start, so it is the opposite also, where as I am healing, it is THE PROCESS in experiencing God and his love for me in a moment by moment that is the ultimate purpose for my life. Thank you for a wonderful analogy. Thank you for this profound insight! A clear reminder that we are amazing beings and need to remember and honor our own processes in order to be the best that we can be. In gratitude. Thank You for sharing your wisdom. The bambo analogy hit home. One I will respect and honor for it has shown its value in my life over and over again. Boy am I experience the new bamboo shoots already. this is a great image and the beauty of bamboo is it not only gorws in up but the undergroud systems sends shoots every where. I know i have had clients that want me to remove bmboo becasue it is so invasive and the roots go deep and wide into the earth to support all the top growth. so this would suggest that healing is deep, tall and wide. Thank you, Elizabeth, for widening our understanding of bamboo and the image. DIANA, THIS IS ABSOLUTELY ONE OF YOUR VERY BEST ARTICLES… I WAS ESPECIALLY RECEPTIVE TO IT SINCE I AM HAVING A 'LOW DAY'… I DO KNOW THAT I HAVE RECEIVED SOME HEALING THROUGH THE CODES, BUT OBVIOUSLY I HAD MANY ISSUES THAT I WASN'T EVEN AWARE OF THAT HAD TO BE HEALED. Thank you, and I’m so glad it blessed you. We Healing Codes coaches firmly believe that the Code is always working, whether we perceive it or not. Just as God is always at work, whether we perceive it or not…. Thank YOU. David, for your kind and encouraging words. Keep at it with the Codes. You never know when your breakthrough will happen and the bamboo shoots up 90 feet! Good analogy. It makes perfect sense and boy it has helped me stop questionning my healing!!! Thanks Diane. I love your analogy. 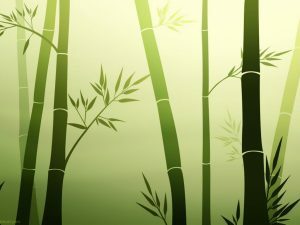 (I love bamboo too.) There's a wonderful bamboo grove in Southern California and boy, is that stuff hard. I think it's in the Medterranean Garden. It grows so fast ! I never knew about the rhizome system though – it makes good sense, especially in juxtaposition with the work of the Healing Code. Thanks so much for your beautiful description of how bamboo grows. It is a picture that I can bring to my mind frequently, to assist in my healing. Peace and blessings to you and yours. I thought of the verse that says "There is nothing hidden that shall not be revealed." We can apply that to both the problem and the healing process…..
Diane thankyou this is the perfect analogy of the healing journey. The depth of the contents in the subconscious let alone the conscious mind is simply mind bogling!! Considering I have 60 years of real time accumulated information on my 'hard drive' in there its a wonder any of it would ever get healed! And yet miraculously here's an instrument with the healing codes that is tantamount to 'loving laser surgery' and its basically free. How good is that?!!! Diana, your analogy for healing using the bamboo image is perfect !! It makes so much sense . Also your statement …"Jesus heals through our faith, it's Jesus' power through our faith. That is powerful and so true. I'm interested in receiving "Virtual Book Tour with Dr. Alex Loyd"
and "Heart Issues Finder". Thank you. Thank you Diane. This makes intuitive sense to me. It explains a lot to me of why some healing seems instant and other times, it seems at first like nothing is different ……but it is.